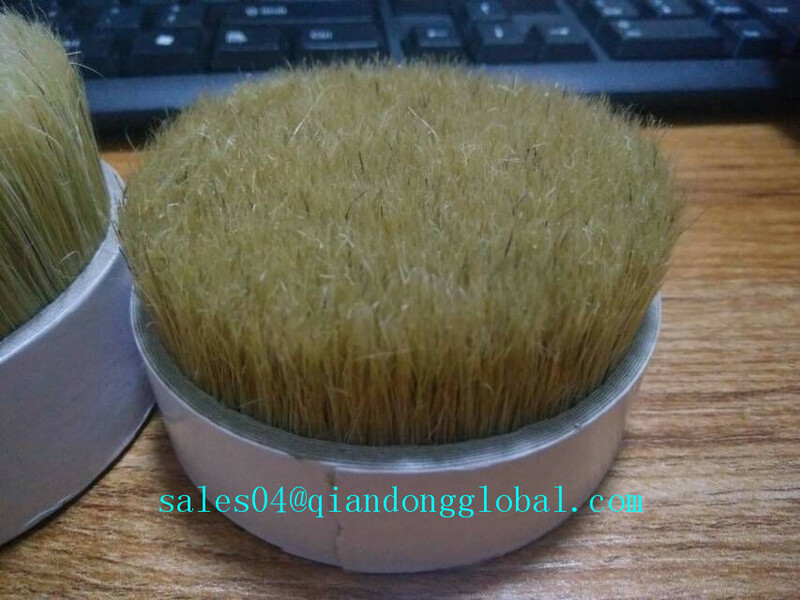 We,Qiandong Livestock Product Plant ,provide pure natural hog Bristle Hair as the raw material for making different brushes.The Hog Bristle hair because of its soild and durable ability is loved by the manufacturer of brushes. Our Boar Bristle can be dyed and bleached to meet the cusotmers' request. 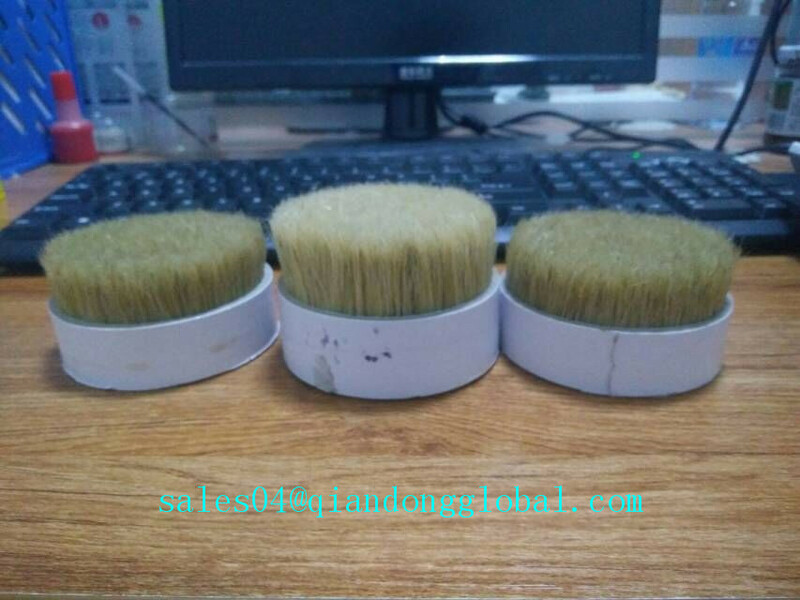 And the bristle Hair s can divided 60% TOP,70%TOP,80%TOP,90%TOP.Each kind has the different size from 44mm to 127mm. 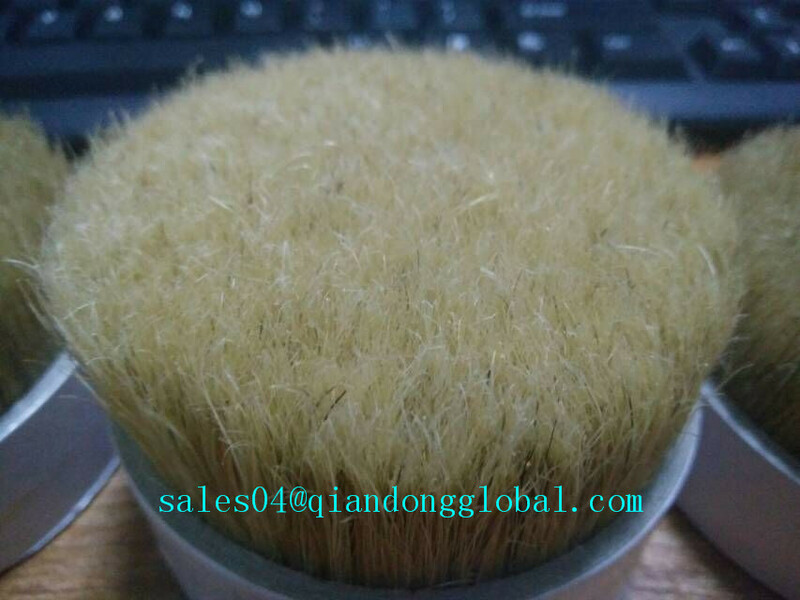 We accpet the customized bristle according to the clients' need. Each case has separate in bundle. 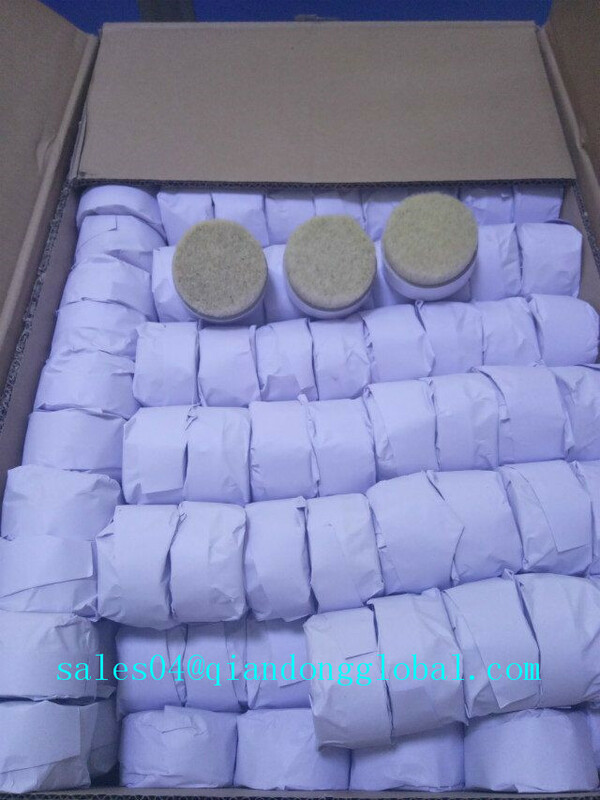 And the outside packing is carton box. Large cardboard boxes will be covered with plastic films. If there is any sample in stock, it could be provided for free. If stock are not available, sample fee would be paid by the buyer or be negotiated. 3.Which shipping way is available ? 4.When will the goods delivery ? 5.Do you accept LOGO print ? 6.How's your packing for the goods ? Each case has separate cardboard or plastic pallets. And the outside packing is carton box. Large cardboard boxes will be covered with plastic films. 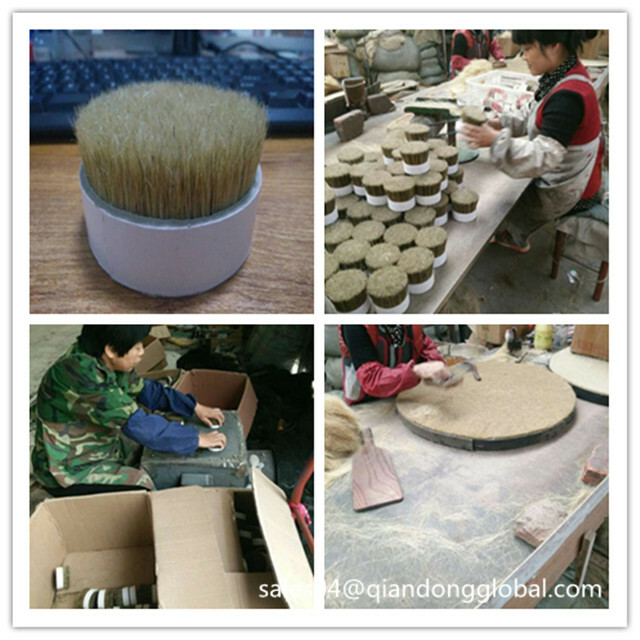 Qiandong Livestock Product Plant is a Professional producer and seller in Animal Fine Hair such as Horse Mane Hair ,Horse Tail Hair, bristle hair, Goat Hair etc . We have the advanced produce equipment , strict quality assessment system and the skilled worker that make us offer the best quality and the most timely products. 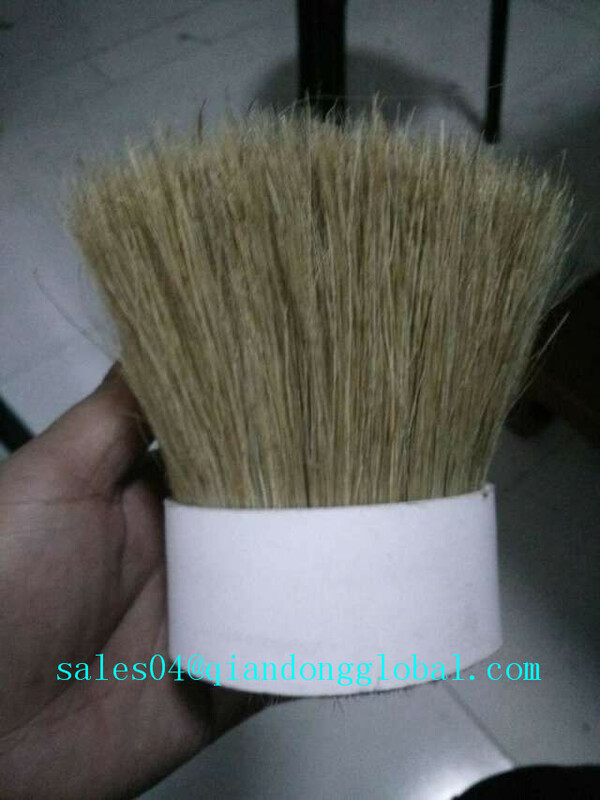 Looking for ideal Boar Bristle Hairs Manufacturer & supplier ? We have a wide selection at great prices to help you get creative. All the Hog Bristle Hairs are quality guaranteed. 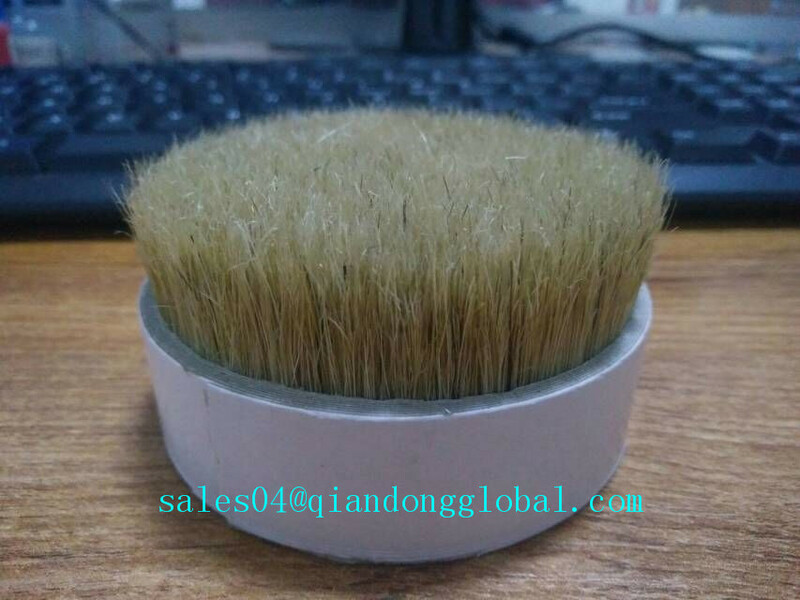 We are China Origin Factory of Handmade Pig Bristle. If you have any question, please feel free to contact us.